There are always new tools in the marketplace, vying for your hard-earned. However, so many of them are just a re-visualisation of an existing tool – a new type of spanner, a new power screwdriver, a new drill rather than a brand new invention. However, at the Brisbane Wood Show this year, Arbortech revealed their newest invention: the TURBOPlane. This is very cool on a number of levels. – And a cool tool in itself. It fits to your standard angle grinder, and provides a surprising degree of control and finish, while still allowing rapid stock removal. 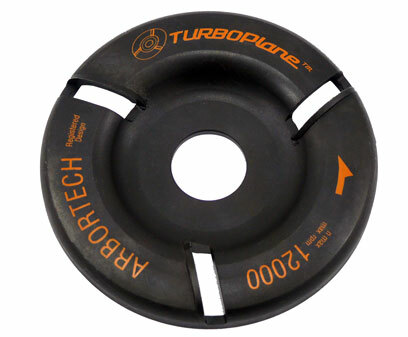 It fits any 100 or 115mm angle grinder with speeds up to 12000 RPM. Despite the speed the angle grinder runs, you have a significant sense of control over the process. 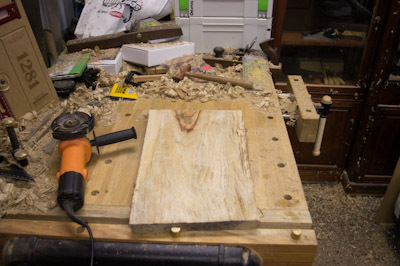 It opens up the door to shapes that would otherwise be difficult to achieve, without moving over to handtools, or carbide abrasive discs which can cause deep scores in the timber (and lots of dust). 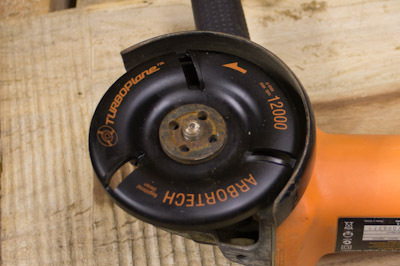 The TURBOPlane can carve both convex and concave shapes, and because it does not have teeth on the outside edge does not need the same guarding as their Woodcarver, and is not as aggressive (the Pro-4 Woodcarver is effectively chainsaw-style teeth cut into a solid disc.) 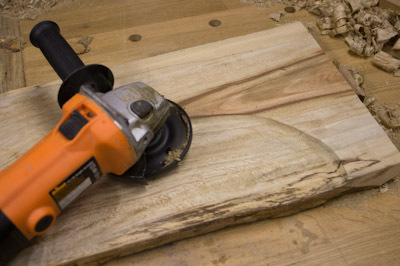 Whether you are shaping the seat of a chair, creating a tray, or carving bowls, wooden horses etc, the control from the TURBOPlane will quickly win you over. It can run right up to the edge of the object (or recess), as it will not cut on that edge. In the meantime, here are a couple of videos from Arbortech on the blade in action.